With a sleek white dial, this watch is both easy to read and lovely. The two-tone bracelet adds dimension and style to this beautiful 18k yellow gold and stainless steel pre-owned Rolex. Generic presentation box included. If available, the original Rolex box will be included in its current condition. If a leather watch band is pictured, it is general practice for a new generic leather band to be featured with the Rolex watch. 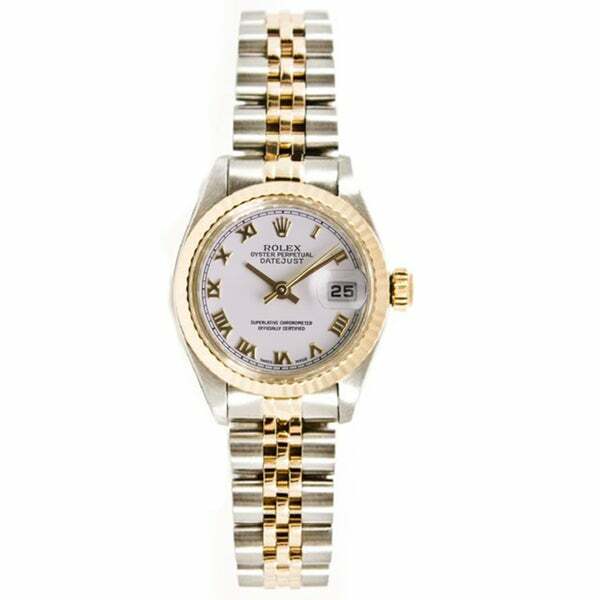 This and all pre-owned Rolex watches are authentic and repaired to like-new condition. "Can you confirm this comes with box and booklets?"